Halloween is a time for fun but it can be a difficult time for animals. Here are some things you can do that will help ensure animals enjoy the occasion too. Keep animals inside – The noise from fireworks, trick-or-treaters and parties can be stressful for animals, so please ensure they are kept inside on Halloween. It’s also a good idea to ensure pets are wearing identification at all times in case they get out. Pets should also be kept away from the front door, as they may find a constant stream of noisy visitors threatening. In Vancouver, the City makes a family fireworks permit available from October 25 to 31, to discharge fireworks on Halloween. VHS would like to see a complete ban on fireworks in the city, which not only adversely affects pets, but also urban wildlife. You can sign a petition for a ban here. Keep Halloween treats away from pets – Candy should be kept secure and away from pets, especially chocolate, which is very toxic to dogs. Sugary candy, raisins and some nuts are also toxic, as are some artificial sweeteners such as Xylitol. Even ingested wrappers can cause bowel obstructions. Be careful with decorations – Materials like tinsel, ribbon and string are dangerous for pets, as they may cause severe injury to the intestinal tract if swallowed, so keep decorations away from them. Be careful with strings of lights and extension cords to avoid risk of pets getting an electric shock. 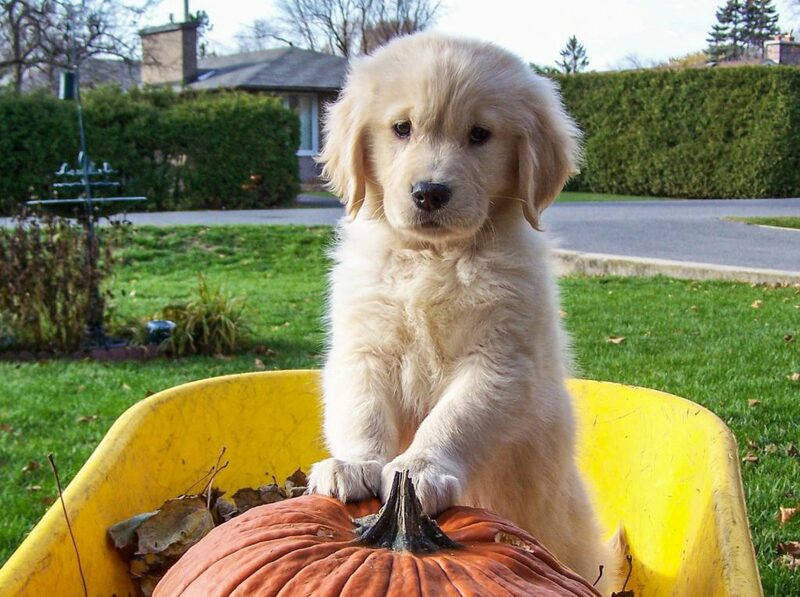 Remember that pets can knock things over, so keep Jack-O-Lanterns and other decorations with candles out of their way. Don’t go overboard with pet costumes – While pets in costumes can be adorable, they can also make animals uncomfortable and stressed. Watch for signs of anxiety or distress and don’t force anything on a reluctant pet. If your pet doesn’t mind a costume, make sure it doesn’t significantly limit movement, hearing, eyesight, or the ability to eat food or drink water. Remember that not every animal likes to party – Keep an eye on your pets at parties, or better yet, keep them in a separate room. Noisy crowds, strangers, loud music, drugs & alcohol, food falling on the floor – all can present risks and create a stressful environment for animals. Avoid “pumpkin patches” that display animals – In recent years, pumpkin patches and corn mazes on local farms have become Halloween attractions. Some incorporate petting zoos, putting farmed animals on display and allowing the public to interact with them. This can be stressful for farmed animals, as they cannot escape unwanted attention. It’s worth remembering that these animals are not pets, are being displayed for profit and may later be sent for slaughter like all farmed animals. It’s a good idea to call the venue first and ask whether animals are part of the attraction and under what circumstances. Give your leftover pumpkins to an animal sanctuary – Sanctuaries for farmed animals can often use leftover produce, including pumpkins, for feed. The Happy Herd Farm Sanctuary and the Little Oink Bank Pig Sanctuary are two local groups you can contact to see what their hungry animals need.